Our next spotlight artist is the Aunt Ange, They are one of the bands performing at GFW2011, the benefit concert for The Global Fund for Women. Thanks again to Stephen Bailey for the introduction. 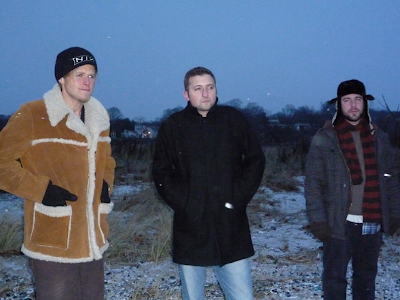 The band’s co-founder and co-songwriter Jack Kearney answers our questions below. The name originates from Jack’s Aunt. Aunt Angela let us record our first record at her house in New Canaan, CT. She packed up and moved out for ten days to let us record our first EP Fliptop Circus. Since, we have returned to Aunt Ange’s house to track bass and drums for our third and latest album Olga Walks Away. 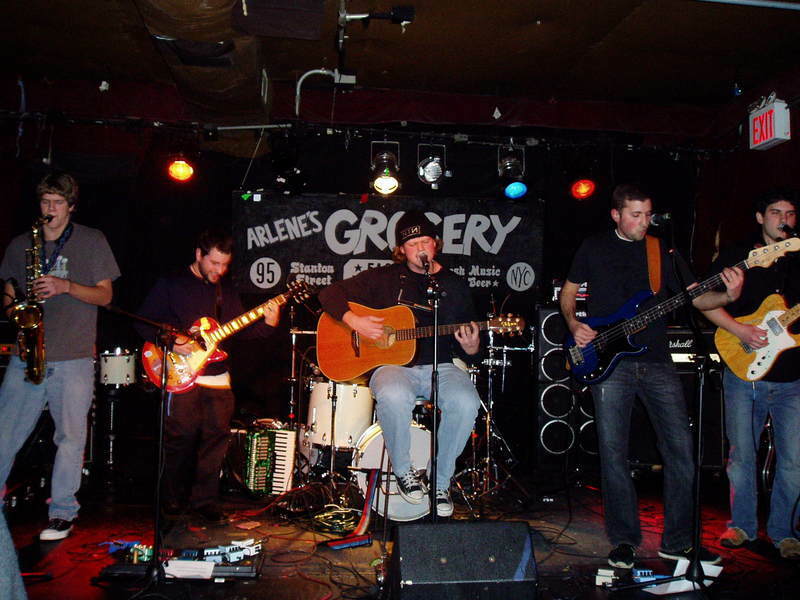 Aunt Ange has been performing for 8 years, but the only members that have remained constant are the two song writers Patrick O’Brien and Jack Kearney. 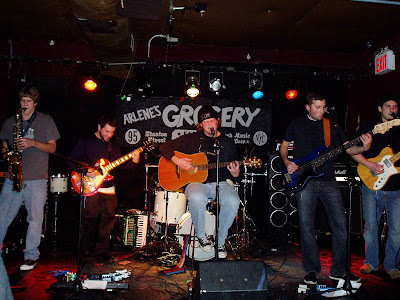 Ellis Ashbrook, a psychedelic progressive rock band based in Brooklyn. We’d definitely like to plug the release of Olga Walks Away, our latest album, which is available exclusively at bandcamp.com as a digital download. Physical and iTunes release to come. Also, we just released three videos of us playing live at our rehearsal space in Gowanus, Brooklyn. The videos are available as a free download on our website (the audio tracks are also available for free with a fourth bonus track). 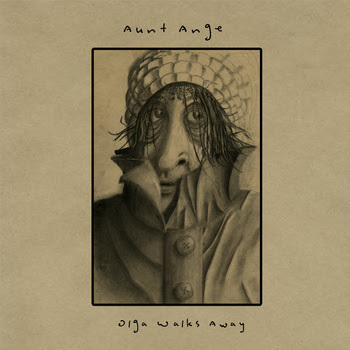 You can buy our most recent album Olga Walks Away exclusively at auntange.bandcamp.com. Our last album Apathia can be purchased at the iTunes Store. kick in to the second song Cracks, people got out of hand and a fight broke out. The cops cleared everybody out and we finished our set to a closed venue. After hearing this story, you might think we were a metal band…nope gyspy folk rock. The only advice that we’d have for people starting out is that you have to know in your heart that you want music to be your life. If that’s decided, with hunger, motivation, and hard work you can make anything in this life happen. Don’t be afraid to make a fool of yourself, it’s the only way to learn. Don’t be flaky. Most of all, realize that the future of the music industry is what we as artist make it. Be Creative. You are performing at the annual Global Fund for Women Benefit Show. How did did you become involved? We found out about the annual Global Fund for Women Benefit Show from Adam’s co-worker and friend Nelson Pla. Nelson has sat in with Aunt Ange at rehearsal sessions. Once we were aware of the show and the great work done at the Global Fund for Women, we were all about it. It great to be a small part of something this special. We are looking to do a CD release show in a couple of cities in the Northeast in the near future. A private show/DVD plans are in the works. Otherwise, we hope to be on the road for the new album sometime soon. Can you recommend any other acts we should feature on MurphGuide?